Quite impressive, isn’t it. It does look very different nowadays (and it does look quite cool too). I know it was remodeled in 1955, but I wonder whether that impressive entrance survived World War One though. 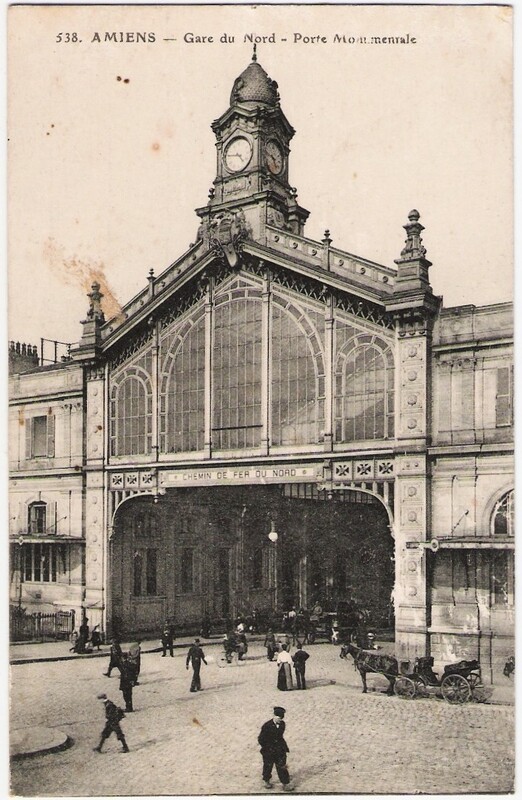 Also note that the station used to be called “Gare du Nord” which implies that there were several stations in the city, as it often was the case back then, when trains where more widely used and several different companies used to manage them.